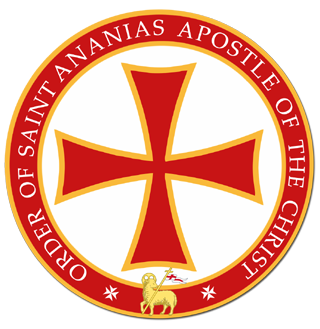 The Hospitallers Order of the Good News is establishing that which is Community which is the bases to which will become a Nation build upon the ideas and ideals of the Brotherhood of Man the the Fatherhood of God, in a modern version based in the original Communities of the Essenes. The Order is establishing the foundations of a Great Nation called the Israelites. The meaning of Israel is: "The seeker after truth". Those who put and hold trust in the fact that they, as individuals, are children of the "Universal Consciousness of God!" And the greater meaning of the word Israel is: "Those called of God for a service before the fellow man". For those who seek are indeed Israel, and Israel indeed is All who seek. Meaning not those as of the children of Abraham alone, but of every nation, every tribe, every tongue - Israel of the Lord! That is the full meaning of Israel. The Home is the nearest pattern in earth (where there is unity of purpose in the companionship) to man's relationship to his Maker. For it is ever creative in purpose from personalities and individualities coordinated for a cause, an ideal. For each and every one, each and every nation, is led - even as in heaven. For that ye see in earth is a Pattern of that in the Mind, as ye well know, and is as a shadow of spiritual truth, life and light. This is as has been given. If there is not the acceptance of the closer brotherhood of man, the love of the neighbour as self, civilization must end. What have ye done with the knowledge that ye have respecting the relationships of thy Creator to thy fellow man? and hast thou made known that ye know of His ways, God's ways, among thy fellows? The Order fosters the ideal of Collective Community living as a way and manner of sustainable progress of humankind. That we as individuals may make compatible, then, those relationships of Creative Forces or God upon the one hand, and the nature of man in materiality upon the other hand, is the need of This day, this age. For He Will indeed come again - and woe be unto him who is found wanting! A group of People, who live together or share common facilities, and who regularly associate with each other on the basis of explicit common values. To become a member of the Order, one must accept the Christ. The Order does not restrict membership to any single Christian Church; it is Ecumenical. 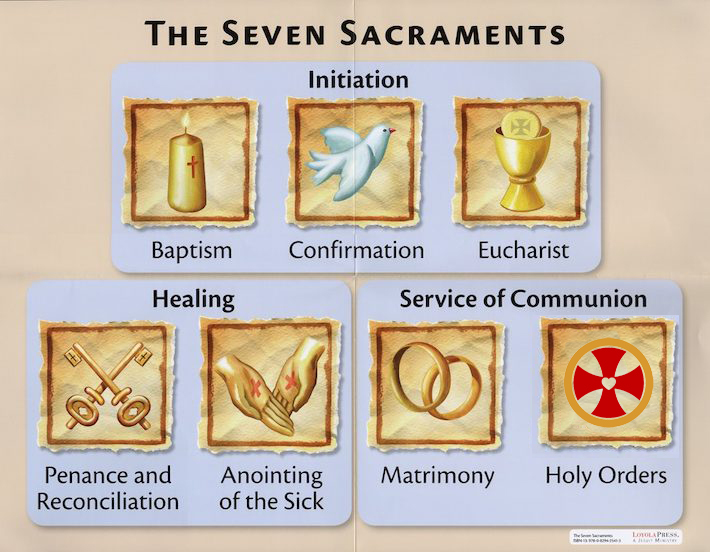 Membership in the Order requires that each candidate accept of free will the Teachings of the Christ, and receives the Baptism in community has a signal of his commitment to Christ our Lord God the God of Abraham. Membership may be offered after a screening process. The Order functions as a State, where there is common law, and common sense. Not common law and senseless, that is what existed in many countries since the early 1960's up to 2036. This shall be known, and shall come to be referred to as the time of destruction of Civilization. The Order aims to sustain civilization, and the memory of the Living God Who Is Christ and His Teachings Alive for future generations. The principal considerations in accepting members are: demonstrated good character, willingness to serve humanity, commitment to the ideals of Christ. The Order invests membership upon only those men and women who deport themselves in an honourable manner, who will be committed to the Christian values and precepts. 1. A Home, you shall never be homeless. 2. Food, you shall never be with hunger. 3. Community, you will never be alone, with a clear sense of belonging as a member of the Essenia Nation, Israel. 4. Wellbeing and enjoyment of Health. 5. Freedom, it is the birth right of every man and woman, as equals to be Free, it is the will of Christ who is God that man and woman be Free, and enjoy Freedom in their daily lives. Freedom of what? When ye bind men's hearts and minds through various ways and manners, does it give them freedom of speech? Freedom of worship? Freedom from want? Not unless those basic principles are applicable throughout the tenets and lines as has been set, but with that principle freedom. For God meant man to be free and thus gave man will, a will even to defy God. God has not willed that any soul should perish, but hath with every trial or temptation prepared a way of escape. Those nations who have taken those vows that man shall be free should also take those vows "He shall know the truth and the truth then shall make him free." The truth maketh one free. Freedom that each man will live for his fellow man! Guided by "In God We Trust." 6. Security, the Order has its own Security Force, members will always be secure. 7. Protection, the Order has its own Security Force in order to assure security and provide protection to the Essenia Nation, Israel. A member of the Order is called: Citizen. All Citizens of the Order are received, protected by the Order wherever the rule of the Order exist. Citizens of the Order know that they will never be alone, they will never be with hunger, they will never be homeless. In the Early Church there existed not only many different types of ministry but also different ways in which individuals exercised these ministries. II - Residential Ministries which Presbyters exercised in Jewish-Christian communities and Bishops and Deacons exercised in Gentile-Christian communities. Do you ever find two blades of grass alike? Ever find two leaves on a tree alike? No. But all are the handiwork of God. So, with individual souls, with their complexities of activity. And each soul must know itself to be itself and yet one with God. That's Christianity! My Lord I want to be part of thy People, has you have given: "If ye will be my people, I will be your God"
Others may do as they may, but for me and my house, we will serve the Lord. Love God. Eschew evil. Love thy neighbour as thyself. For, as He gave, "A new commandment I give unto you, that ye love one another," even as the Father hath loved you in giving His Son that ye through faith, that ye through the love that He has shown, may know the love of the Father and thus be the greater channel of blessings to those ye meet day by day. For ye have been called unto a purpose, as into the service of the Son of man. Make known to Him thy desire, in His will, and - thy will one with His - there will come to thee many blessings, physically, mentally, spiritually. How may one best develop spiritually? Through prayer and meditation. Turn ever to Him for as He has given, practice daily the love of the Christ. For as He gave, "A new commandment I give unto you, that ye love one another." Then manifest that in every way. Let everyone that you meet be happier for having met you, for having spoken to you. This ye can do by spreading joy. This is the manner to unfold, to develop. Then in thy meditation, present thyself as a willing channel, to be as the hands, as the eyes, as the voice of thy Master. To Pursue peace - by Living the second phase of the divine injunction, "thy neighbour as thyself." Then, today, we are to answer within our individual consciousness, "Am I my brother's keeper?" Not "What does the world owe me?" but "What contribution can I, as an individual soul seeking God, seeking to know His face, make that may hasten the day of the Lord?" For we as individuals, as we look about us, realize more and more that indeed we are live and move and have our being in Him - and we are becoming mindful also of "from whence we came." And we realize that as He has given, "If ye will be my people, I will be thy God" applies to me, to you, to each soul that has been blessed with the consciousness, the awareness of life. For Life itself in all its forms and phases is indeed a manifestation of that we worship as God. We realize that selfishness, jealousies, those things that make people afraid must gradually be put away. First, then, as an individual, self must be conquered. Rather than raising thy voice, then, that YE may be heard, raise thy voice that He, thy God, may be heard! Who, then, is thy God? Is it thyself, thy body, thy ego? Rather look, then, to Him who is able to keep you from falling, but is able to keep you in strength of His might by thy desire, by purpose, thy aims being "Others, Lord! Others!" For, as has been given by Him, "Other sheep I have that are not of this fold," for they were on their journey that they, too, might come and hear His voice, from His children and His brethren that would make known His ways. What, ye ask again, are His ways? Just being kind, just being patient, just that as He gave, "A new commandment I give unto you, that ye love one another, that ye love thy neighbour as thyself, that Thou would stand in thy neighbour's stead. Not to everyone that saith Lord, Lord, shall be called, but he that doeth the will of the Father." So in thine judgements, in the associations, he that doeth the will - or seeks to know the will, He may thy ways guide, He may thy acts manifested in His experience bring to the soul the knowledge of thy walks with thy God. Hence, as has been said, when thou prayest, let thy meditation be: "Use me, O God, as thou seest I may better serve thee; in my waking moments, in my walks and my dealings with my fellow man, be Thou the guide." Hence there needs be only that reminding as to that He has already given - that: In the manner, in the way ye treat thy fellow man, so ye do unto thy Maker. He hath promised that those who draw nigh unto Him, He will draw nigh to them. with that He hath already given. In doing this in a manifested way and manner one is enabled to become aware of that consciousness of the abiding of the Christ hope, the Christ life, the Christ promise in one's experience. Thus, whether the activities of the material or mental body are in this or that direction, these principles, these activities may be a part of the daily experience of one. For these are applicable, whether in reference to the daily conversation, whether as to home, as to church, as to state, as to nation. For where there is hate, envy, or that attitude of same, there Cannot dwell that love as He hath shown, or as He hath given, "A new commandment I give unto you, that ye love one another." Then, let thy activities in Every way, in Every manner, become those of one who has put On Christ in such a manner, in such a way that thy good be not evilspoken of, nor thy conversation questioned by others. For unless thy activities and thy dealings with thy fellow man are coordinate with the principles that ye proclaim ye believe, in His activity, they become stumbling-stones to self as well as doubts and fears in the minds and the experiences of others. Let thy conversation and thy activities, then, be consistent with that thou professest to believe. Thou Knowest in Whom thou may believe, and as to Who may be thy Ideal. Then, practice same - not merely in speech - not merely in the reciting of rote or of any message that may have been a part of the experience of a disciple - but Live - Live in thy daily life that which is in keeping with that He has given. In doing such, ye may become one with Him. For His promises are, "As ye abide with me, I may abide with thee." Then, let thy life, thy activities, be such that those seeing, knowing, hearing, observing thee may know that ye walk and talk with Jesus. Let thy meditation, thy prayer ever be: "Father, God! In that Thou hast given to me the Christ Consciousness, may I - in my daily walks before my fellow man - manifest the spirit of the Christ; in humbleness, in love, in patience, in longsuffering; that I indeed may manifest the spirit of the Christ Consciousness." Let Thy prayer be: "Lord, Thy Will not mine be done in and through me! May I hear, may I see in those about me the love of the Father for the children of men! May I so act, so mete in my daily conversation, in my daily activity, giving the spirit of truth - even as the Son gave; and condemned no man! May I then condemn none, that I be not condemned." Hold thou to this in thy prayer, set in the order with thy own problems: "Lord, let me fill that place, that purpose in the lives of those I contact day by day, that the spirit of truth as manifest in Jesus the Christ may be magnified in my speech, my activity; that others may see, may know that I walk, that I talk with thee often! Let that which has been be as passed. Let me look up, into the face of the Christ, with the pure purpose that each word, each act may be in the true spirit of the Christ-life." Let thy conversation, thy prayer be: "Lord, here am I - use me in the way that I may be a living message known of those whom I meet, with whom I am associated day by day, as one who lives that professed in the heart and in the speech day by day." Not looking to sorrow or joy, but rather being glad within for being counted worthy as one that may be an ensample before others of the truth and the spirit of the truth - as shown in the Christ-life. "Let my yeas be yea, my nays be nay, but with that graciousness, that beauty as He manifested in His speech with and in his walks among men day by day. For I, O Father, would be like unto Him!" In thy problems, in thy cares, take them all to Him in the spirit of truth and love that He expressed and manifested to those with whom He walked and talked as in the flesh; "As ye abide in me and I in you, so may the Father be glorified in me." For in so living, speaking, acting before others is the spirit of the Father - which is thy birthright - manifested. And what does this bring into thy consciousness? That awareness, that joy, that peace which He has promised, and that is a part of thy inheritance in Him - the peace that passeth understanding; the assurance that thou art His and that He is thine! Make thy wants known to Him. For He is mindful of thy cries. Keep the face, then, towards the light of the Christ, and the sorrow and care will fade. Ask and ye shall receive, saith the Lord who is thy keeper. Then in thy prayer, thy meditation, call ye on Him. For He is not afar off. And with the spirit of love that is His commandment to thee, "that ye love one another" ask in His name. Sow the seeds of truth, but Do Not continue to scratch them up - but leave the results, the increase to Him. Sow that as ye would have thy Father do, and say, to thee. For the Lord hath called thee to an excellent service, to thy fellow man. Then let His ways be thy ways, his people be thy people, His prayers thy prayers, His messages thy messages; and ye Will in the spirit of the Christ Bring an awakening in the minds and the hearts of those who seek to know Him. In thy study of spirit and the application of same in thy daily life, let thy prayer, thy supplication be: "Father, Thou knowest my heart, my mind, my body. Make it all one with Thee; that I may in thy pleasure, in thy purposes, be more and more a manifestation of thy love to the children of men. "Help me, O Father, to put away - more and more - the cares of this world and look to thee as the author and the finisher of faith; as the manifestation of that which is good, which is holy, which is right in the earth. And let me, O God, in my dealings, in my conversation with and my invocation before men, be a living example of the truth of the Christ in the earth." In thy seeking for wisdom, know that it is not of the earth-earthy. Then let thy prayer, thy meditation be - as ye study the lesson of Spirit and the activity in same be as this; for ye know it is not what is said but the spirit with which it is given that makes it a living thing or a burden to someone's soul. "Father, let that love Thou hast promised in the Christ be in me and my life - yea, in my conversation to my fellow man. Let me so forget myself - yea, the needs of the earthly body - that I may the more magnify the love that is shown in the spirit of the Christ-life. "Let my activities be of such a nature that there is never a doubt shown, a fear manifested. For love indeed casts out doubt and fear. And may I live such an experience that the glory of the Christ-Spirit directs - yea, builds - as the Builder indeed - in the lives and the hearts of those I meet day by day. "Let this be, O God, a living thing in my experience! For the spirit of truth MUST prevail! Let ME, O God, be a channel through which the Spirit is directed!" In thy meditation, in thy seeking, know that the answer must come within. For His spirit beareth witness with thy spirit, and ye know within thy own self as to whether ye are conscious of His abiding presence or not. Then let thy prayer be: "O Father, leave me not alone, but come, strengthen Thou me in my weakness! Make me strong in the might and in the purposes that Thou would use me, O God, in such a way and manner that others whom I meet day by day may be constrained to glorify Thee. "The cares of life and of the earth at times grow heavy, yet Thou, O God, knowest the way! Be Thou the guide in my daily conversation, in my daily dealings with my fellow man. For the Christ promised that when we ask in His name Thou wilt not be slow to answer. "Keep Thou my ways, O God!" In thy study of Spirit, know there is the influence of body, of mind, of soul. These are manifested in the material plane as an individual entity. Just as the Father, the Son, the Holy Spirit is an individual entity. Just as time and space and patience are the individual manifestation of that Spirit Body in the experiences of man. Then, as ye pray, and as ye think on these things, let thy cry - yea, let the purpose of thy heart be: "Lord, use Thou me in the ways and manners Thou seest that I may be the greater blessings - in my weak way - before the children of men! Lord, Thou knowest my heart! Make it one with Thee, even as the Christ in the material plane made His life one with Thee! "In my weakness I often go amiss, I often am stirred to rebellion in the experiences I see in the children of men. Let me, O Father, be patient, be kind to such; even as the Christ was with those whom He not only blessed but upon whose bodies He poured out His love in such measures that others might be physically and mentally healed even by their presence. "Thou art the same, O God, yesterday, today and forever! Then give to me that strength, that measure of love that Thou seest I may use in the Perfect way in the spirit of the Christ!" "May I fill that purpose whereunto Thou hast called me into service in the vineyard of the Christ, and may I fill it with that spirit that He manifested when He gave, "Father, I condemn them not - they know not what they do." 1 - Baptism Ceremony with minimum 16 years of age. 2 – For membership there is 1 year period of probation. a) A donation is given to the Order by the Prospective Member which are at least 21 year of age, completed by the date of joining. 3 – It is then followed by further 7 years of Training. a) A dowry is given to the Order by the Joining Members at this stage. Dowry: The dowry given is used (regardless of the amount) to either purchase (expand) new land, construction of new buildings or both. Please remember that once you join fully you become a shareholder of all that the Order has. The dowry amount when received is converted the value of its amount to the value of metal gold in grams, this value is then recorded in the Dowry Book, if in the future the member wishes to leave this same value in regards its amount in gold metal is given to the member (no interest is calculated or given). b) After the completion of the first 3 years into the 7 year period, the new member shall be given the right to vote in the Order. 4 – Following and after the 7 year period of Training the Members receive the Inner Teachings. There are no short cuts to mental and spiritual success. It (success) must be laboured for, and service rendered. And in patience and in truth, keep self unspotted from condemnation - from others or from self's own conscience. For, a soul, an entity, does not enter by chance, but that indeed there may be in the experience of each soul that love, that mercy, that grace which is manifested in the experiences of those who Have Learned the lesson, "Seek ye the Lord while He may be Found!" Do you want to join the Order? 1. Has God placed in your heart a desire to serve Humanity? 2. Have other people mentioned that you are a good person. 3. Do you want to live a life of virtue. 4. Do you have a love for the Christ. 5. Do you want to know the mysteries of Spiritual life. 6. Do you want to serves others and grow yourself spiritually. 7. Do you want to help others learn the teachings of Christ. Membership: The principal considerations in accepting members are: demonstrated good character, willingness to serve humanity, commitment to the ideals of Christianity. For membership there is 1 year period of probation. Members of the Hospitallers Order of the Good News bring Christ closer to People & People closer to Christ. If you’re interested in membership in the Order, you can talk to us about it, we can help you further discern your abilities and qualities. We will provide you with a long life training and a Community that is supportive, caring and understanding, if you love Christ and his message then you are part of our Community. After 1 year you can apply for Community Membership, or Citizenship in Principality of the Good News. Christian life is universal to be lived in community, and not limited to the cloister, it is to practice solidarity with the poor by implementing of social and economic justice, banding together with those marginalized either by poverty or illness, serve the disadvantaged. The practice of fraternal charity, the study of both the scripture and the mysteries of life, and the active proclamation of the Christian faith. All this is part of a Christian Community Life. 1. Please send us a letter by email (or mail) with the reasons for which you would like to join the Order. 2. Do you believe the Christ is the Master, Lord Saviour of Humankind? 3. Do you proclaim that Christ is in his oneness with the Father and the Holy Spirit God? 4. Do you have any health condition? 5. Have you been baptised, if so at what age and where? 6. Please enclose a recent photo of your self, for Membership Card. 7. Please enclose your donation as a gift (donation from joining members are used specifically on the printing of new books, which are normally on health topics). 8. Please be aware that even thought you may have already been baptised a baptise ceremony needs to take place. A donation is given to the Order by the Prospective Member which are at least 21 year of age, completed by the date of joining.